Uncorking a bottle of French wine on a sunny day, spreading brie on a baguette, gazing out on the Paris skyline in front of the Sacré-Coeur in Montmartre — to me, that’s the perfect day. Paris is one of my favorite cities in the world thanks to its cobblestone streets lit up at night under the glow of street lights, its historic architecture, incredible music, savory delicious food, and smartly dressed locals. 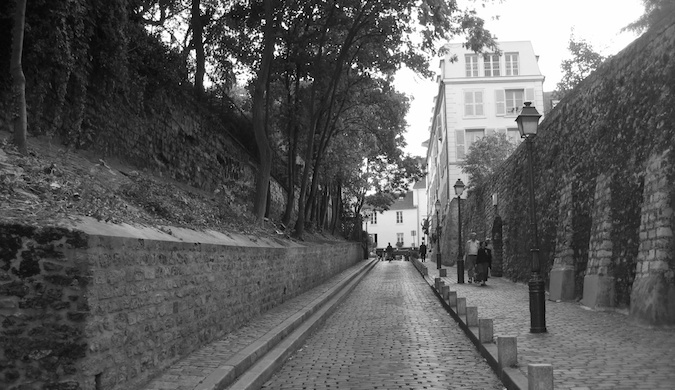 Paris is a city I just melt into. But Paris is also a city that melts the wallet. With the city’s plentiful restaurants, bars, and attractions, your money can disappear quickly if you aren’t smart. Luckily it doesn’t have to be that way, and there are plenty of ways to enjoy Paris without experiencing sadness over a suddenly empty bank account. 1. 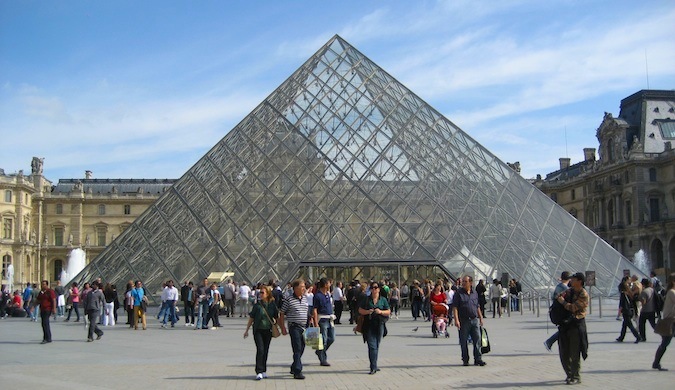 Visit the Louvre for free — Admission to the famous Louvre Museum is free the first Sunday of each month from October to March. It’s also free on Friday evenings for anyone under 26. Moreover, to avoid the massive ticket lines, enter via the Carrousel du Louvre entrance and you’ll get right to the ticket counter. You can also skip the lines if you have a Paris Museum Pass. 2. Save at the Musée d’Orsay — Tickets to the museum are only €9 after 4:30 p.m. (except on Thursdays, when they’re reduced to €9 at 6 p.m. until 9:45 p.m.). Entry is also free the first Sunday of the month. Regular ticket prices are €12. 3. Buy a Paris Museum Pass — I’m a huge fan of tourist cards, and Paris is one of the best places to get one. There are so many museums and attractions worth seeing that ticket prices can really add up quickly. The Paris Museum Pass will help. It offers free and discounted admission to 60 museums and monuments around the city, and it lets you skip the ticket lines! Prices: €48 (two days); €62 (four days); €74 (six days). It pays for itself after three museums. Heck, the Palace of Versailles is €20 alone! Get this ticket if you plan to see at least three museums! Take the RER B (regional train): This option costs €10.30 and takes 25–50 minutes (depending on your destination and whether you get an express train). Once you get into the city, you can transfer to the metro to reach your final destination. Take a bus: The “RoissyBus” costs €10 per person and takes 45–60 minutes. I prefer the RER, but depending on where you’re going, the bus might be more direct, as you may not have to transfer to a local metro. 6. Skip taxis — The subway system in Paris is very extensive and can take you anywhere you need to go. Don’t waste money on overpriced taxis. 7. Buy a 10-pack of metro/bus tickets — Bus and metro tickets cost €1.90 each. However, you can purchase a “carnet,” which is a pack of 10 tickets, for €14.00. It saves you a few euros — a modest savings, but better than nothing! 8. Use the Vélib’ — Paris’ bike-share program boasts over 20,000 bikes at 1,800 stations throughout the city. You join by purchasing a one-day pass for €5 or a one-week pass for €15. You’ll need a pin-and-chip card to use the machines. If you don’t have that type of credit card, you can buy a ticket online and use your access code at the stations. 9. Stay in hostels — Hostels offer great accommodations for those on a budget, especially since most hotels in Paris are beyond expensive. Dorm rooms in Paris start at €20 nightly, and private rooms in hostels begin around €50. My favorite hostels to stay at are St. Christopher’s Canal and The Loft. Here are my other favorite hostels in the city. 10. Drink in hostels — Even if you aren’t staying in a hostel, you should still consider drinking at their bars. They offer amazing happy hours, with beers as little as €2. They’re a great place to start your night out in Paris without busting your budget. 11. Couchsurf — Nothing’s cheaper than sleeping for free. Couchsurfing connects you with locals who will not only give you a free place to stay but can act as a local tour guide and introduce you to all the hidden places around the city that only a local would know. To me, it’s one of the greatest ways to really get to know a city. (If you don’t want to stay with people, there are always tons of Couchsurfing events going on, so you can at least use it to meet some locals!) Here’s a guide to using Couchsurfing! 12. 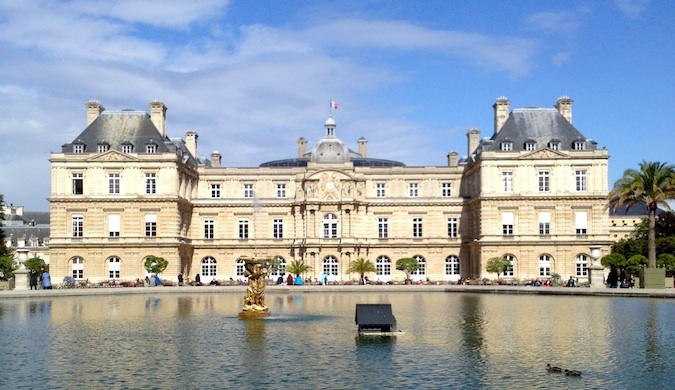 Visit the free sights — The city has a lot of free attractions, including museums (like the Musée d’Art Moderne, Maison de Balzac, and Maison de Victor Hugo), most churches, and parks (like the Jardin du Luxembourg). Also free are the Musée Carnavalet (the Paris History Museum), the Musée d’Art Moderne de la Ville de Paris, the Musée de la Prefecture de Police (Police Headquarters Museum), and the Fragonard Perfume Museum. 13. Take a free walking tour — Free walking tours of Paris’s central sights are available from several tour companies. My favorite is New Europe Walking Tours. There’s also Paris Greeters, where locals lead you on a free tour of their city. It’s modeled after the one in New York. Be sure to tip your guides! 14. Remember that water is free! — When you order water at a restaurant, make sure you ask for tap water. They’ll try to provide bottled water and charge you for it, but tap water is free and safe to drink. 15. Get the set lunch menu — If you eat out, do so at lunch and get the prix fixe menu (two- or three-course set menu). Restaurants throughout town offer this set menu during lunch, and with prices between €10 and €20, it’s a way better deal than the regular dinner menu! 16. Pick up lunch at outdoor markets — Paris is a market city, with food markets throughout town. 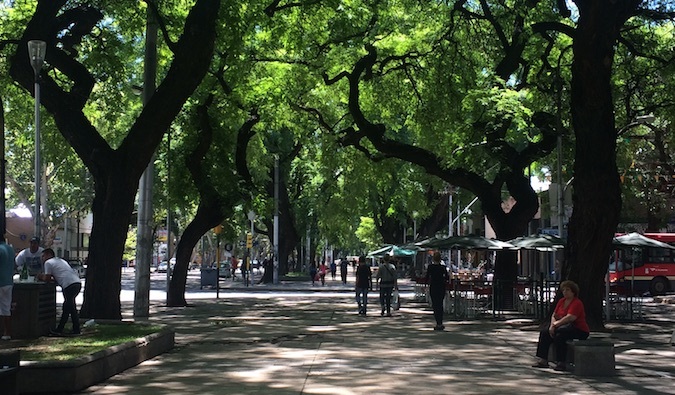 If you want to save big money on meals, head to one of the markets, pick up some cheese, wine, bread, meats, or anything else, and head to the park for a picnic. (Or grab a sandwich for later!) You’ll find the locals doing the same thing, and it’s one of the cheaper ways to get a true taste of French food. 17. Head to the grocery store for basics — Grocery shopping is a no-brainer way to eat cheap. They have all the ingredients you need for basic meals as well as prepared meals. They sell wine too! 18. Enjoy free summer festivals — During the summer, you can find free entertainment almost any night of the week, such as the Paris Jazz Festival and outdoor film screenings like Cinéma en Plein Air. 20. Use Airbnb — Don’t want to sleep in a stranger’s home or a hostel? Airbnb offers the next cheapest accommodation options. 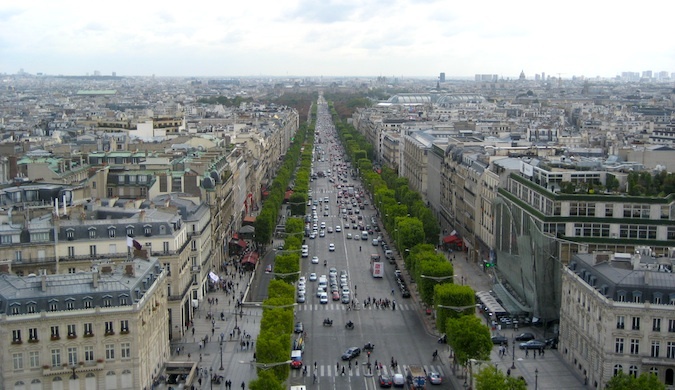 This site allows you to rent a room or entire apartment in a Paris neighborhood. You get all the comforts of home! I’ve seen entire apartments for as little as $70 a night. Split that a few ways, and it’s cheaper than a hostel! (If you’re new to Airbnb, get $35 off your first stay!). To help you plan your visit and find the perfect apartment rental, here are the best neighborhoods in Paris. 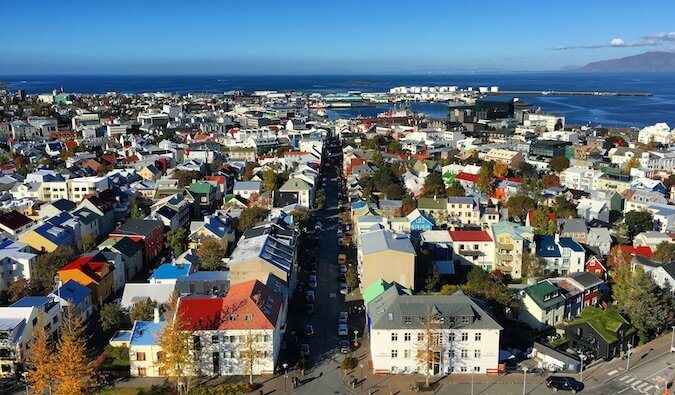 Note on using Airbnb: Airbnb has dramatically raised the price of rents and pushed out the locals you want to interact with, as people have started to buy multiple properties in order to rent them out to tourists. I strongly encourage you to only use Airbnb if you are renting a room in someone’s house, not an entire place — it’s too hard to determine if that entire home you’re renting is really someone’s private residence or a rental property owned by a giant company. Help end overtourism! 21. Fill up your water bottle around town — Paris has more than 800 water fountains located throughout the city where you can fill your water bottle. 22. Avoid shopping — Unless you’re a trust-fund baby, avoid shopping in Paris. High taxes and labor costs make everything more expensive than it needs to be. There’s nothing in Paris you couldn’t find a similar version of in your home country at a much cheaper price. Save your money and use it for experiences, not stuff. 23. 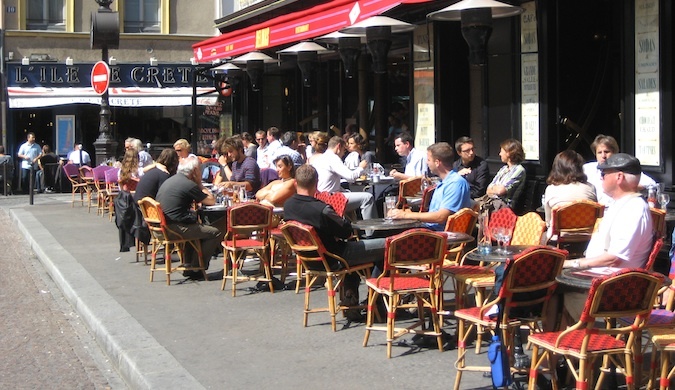 Eat away from the tourist centers – There are so many world-class restaurants in Paris that if you stick to eating close to where the tourists are, you’ll eat terrible food and have terrible service. There’s like an invisible line tourists never seem to cross. My rule: always walk five blocks away from any tourist sight to find good local cuisine. Find good and cheap food on websites like La Fourchette, Yelp, and The Fork (which offers discounts up to 50 percent at more than 1,000 restaurants across Paris) and eat like a Parisian. 24. Check the local tourism office for free stuff — The local tourism office’s job is to save you money and help you plan your way around the city. They are a grossly underutilized resource by travelers. They know everything going on. Go into their office, ask questions, find free things, and get discounts on tours and attractions throughout the city. Paris is an expensive city, and visiting there on a budget has become harder in the last couple of years. But, like any major city, there are plenty of budget options if you know where to look. By making a few small adjustments, you can find big savings that will make any trip to Paris fun, affordable, and memorable. 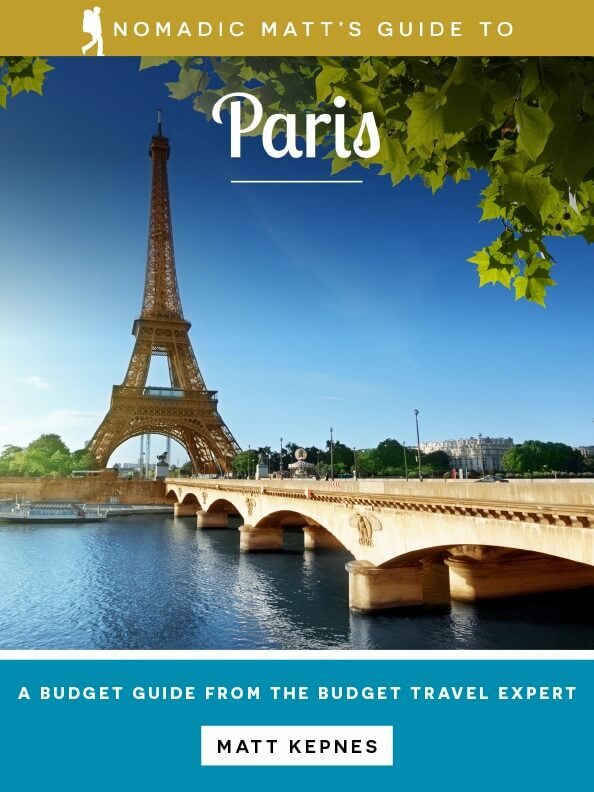 Get Your In-Depth Budget Guide to Paris! For more in-depth information, check out my guidebook to Paris written for budget travelers like yourself! It cuts out the fluff found in other guides and gets straight to the practical information you need to travel and save money in one of the most beautiful and romantic cities in the world. 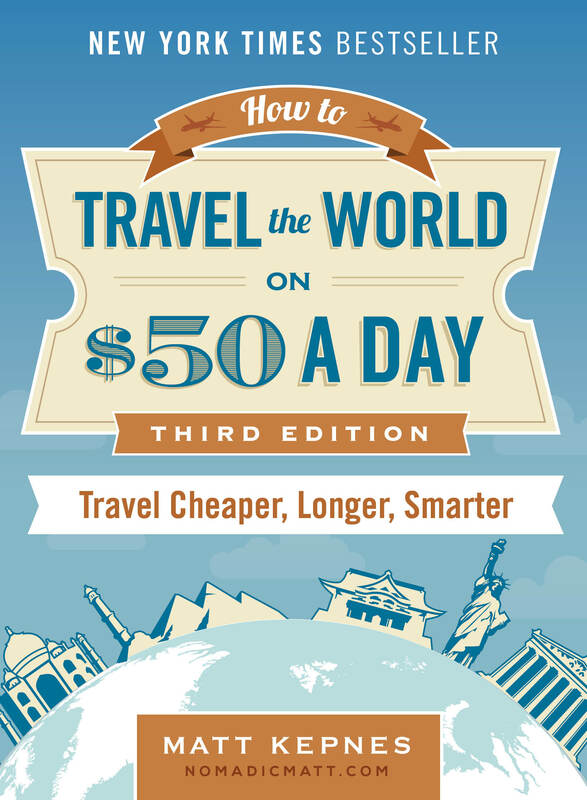 You’ll find suggested itineraries, budgets, ways to save money, on- and off-the-beaten-path things to see and do, non-touristy restaurants, markets, and bars, and much more! Click here to learn more and get started! Here’s a list of my favorite hostels in Paris in case you want more options than what is listed here! Looking for more information on visiting Paris? Check out my in-depth destination guide to Paris with more tips on what to see and do, ways to save, and much, much more! Walk up the Eiffel Tower! It’s much cheaper than the elevator and the lines are SO much shorter. It’s not too strenuous of a climb and it’s completely enclosed so it’s not scary to people who are afraid of heights! Great tips Matt as usual. One thing I have learned (the expensive way) on my many trips to Paris, is that there is an unwritten price scale when sitting at a sidewalk restaurant/cafe. If you sit closest to the sidewalk you will be charged a certain price (read high) for your beer. Sit at the back of the sidewalk tables and you will be charged less. Sit inside and you will be charged even less. A friend and I found this out when we sat at the front at a restaurant on Place Republique. We were charged 27 euros for a couple of pints of beer, ouch! Many hostels offer single bed rooms that are cheaper than double beds. However, in general, a private room at a hostel is never as good a deal as Airbnb. If you visit Notre Dame cathedral on Sunday around midday you might be lucky to enter for free because usually are church services. I was lucky to have this opportunity this year in March. These are some great tips. There are also some hidden places in Paris that are free to visit/explore. The Promenade Plantee, Belleville, and the abandoned railway were our favourite spots. Couchsurfing is definitely the best way of exploring a city and saving money at the same time – we have made some great friends couchsurfing in different cities across the world. These are awesome tips. I stayed in Paris for 6 weeks as part of an exchange trip to learn French – luckily my accommodation was free, but Paris is by no means cheap. I wish I had known these tips then! Great advice. I wanted to add another piece to the comment that many museums are free for those under 25 from the E.U. This also works for anyone under 25 with a long-term visa! So if you’re studying or teaching abroad, you can save a little money by showing your visa! 1. You can also get free admission to the Louvre on Friday nights all year-round if you’re under-26! 2. As far as Airbnb goes, a friend and I rented a studio for $43/night in Paris. Granted it was cramped quarters, but your own place for ~$21 a night? Can’t beat it. Definitely check out Airbnb! Ahhh Paris ! I was there recently and found at the airport that Air France has a bus for 7.50 Euros that will take you to Gare de L’est or Gare de Montparnasse. You can jump on the metro or bus from either of these places. One of my favorite places in Paris is the Grand Mosquee de Paris and it’s tea room in the 5th arrondissement. It’s a donation. Don’t waste your money buying drinks in Paris clubs! Buy a bottle of cheap wine from a grocery store, and sit along the Seine with the Parisians. Something interesting almost always happens. Great article— If really want to visit the museums, arrive early. On our last visit to Paris, the lines to get into the Orsay were so long, we decided we didn’t have time to stay and wait! Fortunately, for us, we had been before, but we were really looking forward to a return visit. It is an awesome museum! It seems pretty unrealistic to allot a very limited amount of money for your planned vacation to a city like Paris. Who doesn’t want to go to Paris? Everyone I know who went there have only great stories to tell about their vacation. Everyone knows it’s an expensive city to visit and yet it does not discourage us to hope that someday we’ll get to visit Paris. Even I, who is in a tight budget, cannot bring myself to take it off my bucket list. Reading this article only made me want to go to Paris more than ever. So thanks for keeping my dream alive and for the beautiful pictures! There’s no stronger motivator than pictures so I love travel blogs that has lots of imageries. I always wanted to go to Paris but just like many average earners, money is a big problem for me to accomplish my Paris dream! You shared very insightful ideas on how to save money and I really appreciate you work. Hi Matt, Thanks for the great tips. My husband and I want to take your walking tour. Will you be offering one in July?